So, after being lucky enough to go to South by South West this month I spent quite a bit of time on the first day thinking, who are all of these people and why do they really bother unless they are big music fans? 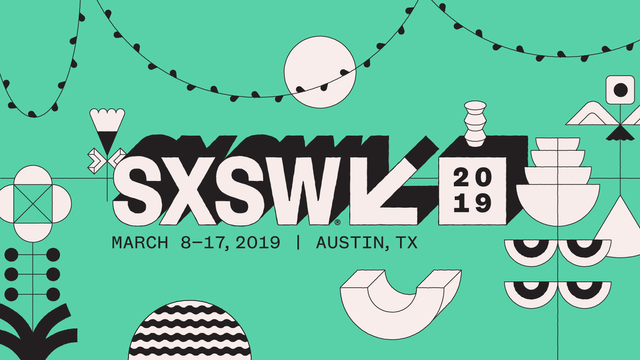 Obviously, Austin is a cool place and it is pretty impressive to be able to drop into a conversation you’ve been to SXSW if you’re a start-up in the tech industry, but is that really it? I don’t think so!! What I did reach the conclusion of pretty early on during my time there is that you need to have a strategy. You really need to understand why you are going before you go, so you can be strategic about what you get out of it before you get swept away by the amount of talks, people, parties and food! An opportunity to learn from amazing speakers from international companies or speakers you never thought you’d get the chance to listen to such as Gwyneth Paltrow this year for me and Elon Musk last year for our Head of Communications!! Gain and understanding of current tech trends in the market, even if you don’t learn anything from the speakers and demos this is a good learning opportunity because it helps you to benchmark yourself and your company against the market and understand if you are on trend or being left behind. Network everywhere you go, there is such a mix of people thrown into South by South West you just don’t know who you’re sat next to in a seminar or at the bar…. One of the best bits of advice we had whilst we were there was go to sessions that aren’t necessarily relevant to you, because this will help you to explore other markets and when would you normally get to go to a conference that has such a broad coverage of topics? Even though the big talks are really exciting don’t be afraid to go to the small groups that are less popular. This is a fantastic opportunity to network the room and ask questions to stand out and if you’re really keen introduce yourself to the speakers at the end. You can even ask them to set up a meeting with you during the conference, after all you have a captive audience because you know they are there for the conference so they can’t escape you! If you do want to see specific talks make sure you plan in advance; for a lot of the popular talks you need to queue from an hour in advance so reserve your space or bring snacks. What I want to leave you with is don’t try to do everything. Most seasoned South by South Westers kept saying to us that when people first attend they try to fit loads of talks. This means they are running from different hotel venues and don’t get the opportunity to network or take in the experience of trying out demos etc. There is so much going on you will never see it all! Also enjoy the music scene, when would you normally get a chance to be in Austin with so much music? According to Futurist @amywebb, "Our crop production in the US is no longer sustainable using our old methods."